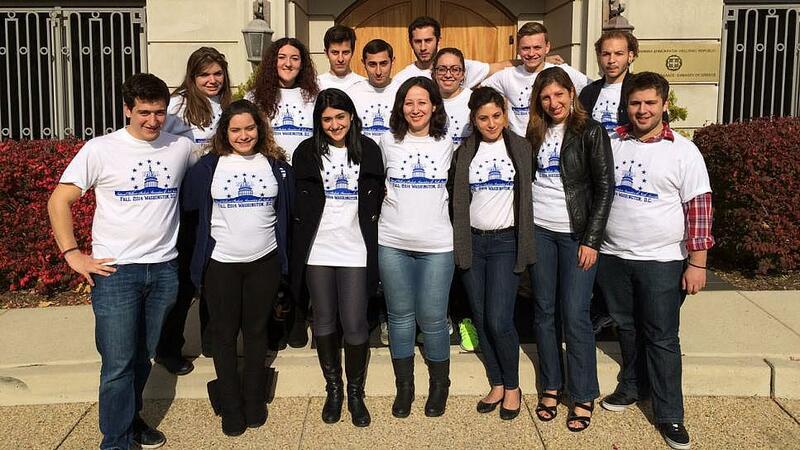 Washington, DC – The National Hellenic Student Association (NHSA) of North America, Inc., hosted their semi-annual convention in Washington, D.C. November 7th-9th, 2014. NHSA is an umbrella association for Hellenic student organizations at universities throughout the United States and Canada. 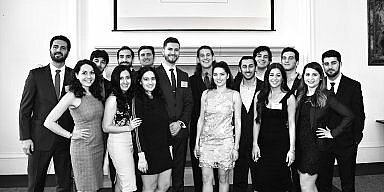 This convention brought member-chapters to the heart of the U.S. capital, where the theme “Hellenic Youth and the Preservation of Our Culture” was explored. It is at this critical time that the Hellenic youth need to be the driving force to preserve the Hellenic culture and identity. The Convention began with opening remarks from NHSA President, Konstantine N. Ouranitsas, followed by a welcoming address from representatives of the Embassy of Greece and the Embassy of Cyprus. The convention covered many topics. Mr. Nick Larigakis, President and COO of the American Hellenic Institute spoke about the geostrategic relationship between the U.S., Greece, and Cyprus. He touched on important issues taking place in the region and also discussed the AHI Foreign Policy trip, which would expose students to some of these issues first hand. Art Dimopolos, Executive Director of the National Hellenic Society, spoke on the preservation of the Hellenic culture in the United States. During his presentation, he also mentioned the NHS’ study abroad program, Heritage Greece. Congressman John Sarbanes, spoke on his initiative, Hellenism in Public Service. The premise of this initiative is to give back to the community, whether Hellenic or not, and to voice your opinion in the form of voting. Ambassador Patrick Theros, former Ambassador of the U.S. to Qatar and the President of the U.S.-Qatar Business Council, spoke at the Convention about Kapodistrias and the identity of modern Greece. The final speaker, Margaret Skourlis, Vice President of the Intercollegiate Hellenic Society, gave practical ways that the Hellenic youth can work to promote and preserve the Hellenic culture. All the speakers engaged the audience and provided a great deal of information. During the course of the Convention, a mentorship lunch was conducted, offering students to network with professional in various fields. During this time, students were to learn more about the various societies present. Libra Group was also present to speak about their global internship opportunity. NHSA was a co-sponsor of DCGreeks.com’s Pan-Hellenism Weekend. The combination of the Pan- Hellenism Weekend and the NHSA Convention created an educational, professional and social environment. 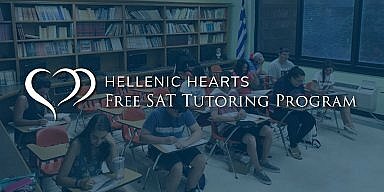 In addition to promoting Hellenism, education, and mentorship, NHSA, encourages students to interact with each other, to learn from each other, and to make new friends. The National Hellenic Student Association of North America would like to thank our participants, guests, speakers, mentors, and sponsors for supporting our organization and being a part of the Washington, D.C. Convention. 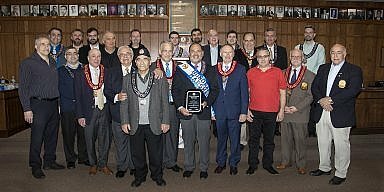 NHSA is greatly appreciative for the support which the Hellenic community provides.